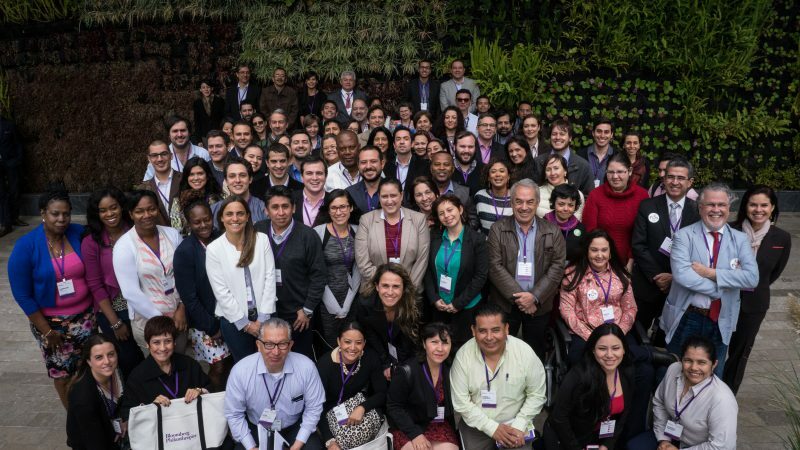 Last week, Bloomberg Philanthropies convened 100 leaders from 20 city teams in Bogotá, Colombia to challenge the ideas they developed to improve city life in Latin America and the Caribbean. Each team is in the race for five awards as part of Bloomberg Philanthropies’ Mayors Challenge – an ideas competition that invites hundreds of cities within a region to define a serious problem within their city, and then develop a bold, new idea to solve it. Anyone would have been taken aback by the collective energy and excitement generated by the two-day program called Ideas Camp. The pace of intensive instruction, peer-to-peer critiques and probing was dizzying. Inspiration prevailed and the 20 finalists appeared more as comrades than competitors for US $9 million in innovation funding. 1. Embrace risk and take pride in saying, ‘We’ve never done this before’: As Mayor Enrique Peñalosa Londoño put it in the Ideas Camp kick-off, “It’s interesting what people can do when they’re thinking out of the box.” Cities must be open to looking around the globe to models they can import and adapt to help them solve their toughest problems. 2. You are not alone: In Bogotá, team after team said they felt a new sense of camaraderie after spending time with city officials with the same problems, misgivings and dreams. “When we got here, there was a part of comparing yourself to other cities that gives you fear. There are cities that have a tradition of innovation. When we saw we were finalists with Curitiba, Medellín, Bogotá, Santiago, we were terrified. ‘How will we compete with them if we are only starting?’ But we realized that each project has a goal and each city its peculiarities. We realized we deserve to be here and we learn from each other,” said Zulma Bolívar Devecchi from Caracas, Venezuela. 5. Data tells the tale: The best way to convince city hall colleagues and constituents that you have a great idea is with cold, hard facts. “The story is in the numbers,” said Bloomberg Associates’ Linda Gibbs. 6. But you need other ways to tell the story: Finalists had to pitch their proposals to a group of experts, and constructing a narrative that was responsive to their many stakeholders was key. 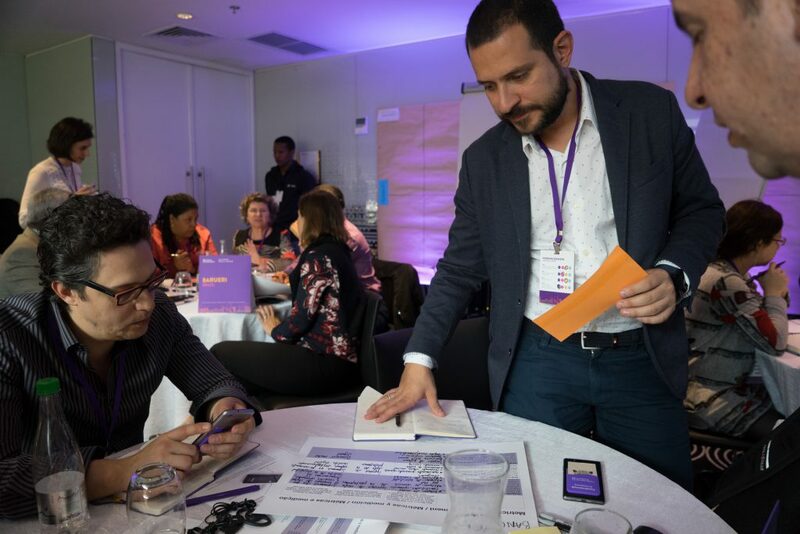 Any bold idea must be iterated “to the actual needs of the people,” Luis Arnal, CEO and Co-Founder of Insitum said to Ideas Camp attendees – and every idea starts with a story. 8. Celebrate – and communicate – early indicators of success: Even modest successes for a project early on can build commitment from stakeholders. City innovators must share “early signs of success,” said Courtney Hawkins of the City of Providence, Rhode Island, a 2013 Mayors Challenge winner. 10. Everyone wins: The city teams represent 20 cities that were chosen from 290 applicants who were also committed to shift the way their government approaches a problem and impact the lives of their citizens. While the competition will only award five prizes later this year, “our dream is to see all projects implemented,” said Fuad Khoury, Peru’s former Comptroller General and Selection Committee member.